t Here is this week’s list of blog posts, comic strips, short stories, articles, and other links from my favourite corners of the web. It’s Okay to Be Self-Centered. Isn’t this an eye-catching title? Be sure to read the whole thing before deciding what you think of it. Rules for Preserving Health in Victorian Times via 18thCand19thC. One of the biggest reasons why I’m recommending this link to you is because of how fascinated I am by how the rules for preserving your health change from one century to the next. Don’t you wonder what people will have to say a hundred years from now about the diet, exercise, and lifestyle habits that medical professionals recommend to us in 2017? How to Choose Wisely. 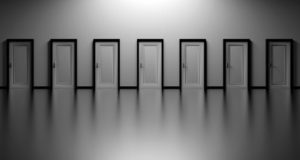 Making decisions isn’t something that bothers me too often, but this article was full of great advice on how to decide when everything appeals to you or when every choice seems to lead to the same place. The Hunt for the Tinmouth Apple. Now I’m craving apples like nobody’s business! I’m glad they’re in season again. Where Pain Lives. Here’s hoping that this research unlocks better treatments for chronic pain soon. I know several people who have lived with it for many years. Either. I’ve been a fan of this comic strip for years. If you’ve never read lunarbaboon before, this is an excellent place to start. Yes, those words are supposed to be stuck together like that. Yes, longterm readers of mine will probably recognize this site. I try not to link to it too often for the sake of giving many different sites a chance to shine, but I know I’ve recommended it more than once in the past. Healthy Movement Matters – It’s Not About Getting a Gym Body via ‪TempusPT‬.Yes, exactly! Discovering Sam, Our Transgender Child via girlology. What a beautiful reaction these parents had to their daughter’s secret. Now, old birds may like to talk but there’s song and there’s nattering on for the sake of the sound. Suffice it to say the wolf learned quickly. He came inside, he learned to hold a spoon, and, other than the issue of the bath, he never tried to bite me.